In order to have your website appear in a Google search, Google needs to know your site exists. The more Google knows about your site, the better chance you have to attract an audience. 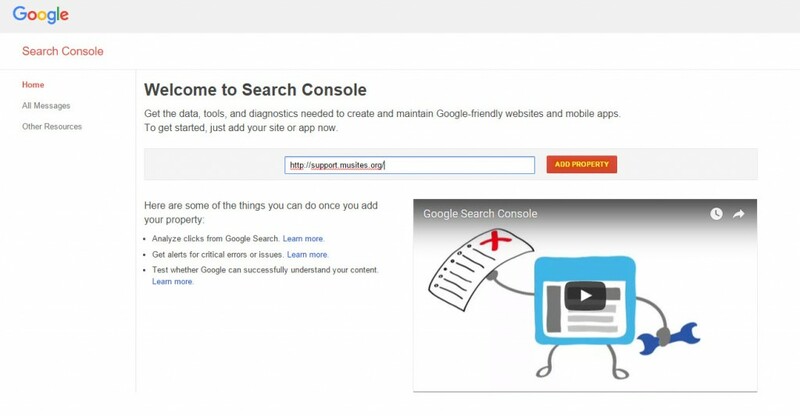 In order to “tell” Google about your site, you should sign up for Google Analytics, put a tracking code on your website, and submit your site to Google through Google webmaster tools. 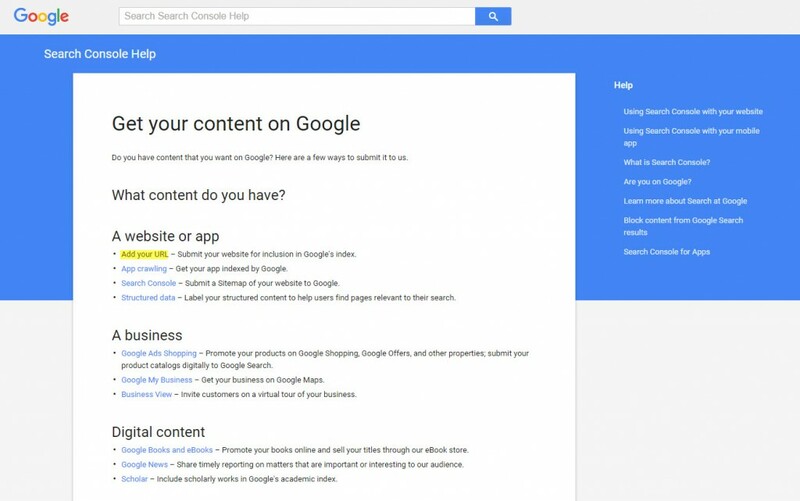 Combined, these steps help your website climb the ranks of search results. This is beneficial especially if you are using your website to showcase your portfolio and obtain employment post-graduation. Google Analytics is a program that tracks statistics about your website’s visitors. These statistics include everything from how many users a day come to your site to how long they stay on a page. It’s useful knowledge to have, but one of the biggest benefits is that you’re supplied with a tracking code, which basically tells Google “Look! I made a new website”. Additionally, when you submit your website to Google through its Webmaster Tools, Google starts using that website in a search result. Do not sign up for Google Analytics without obtaining your instructor’s permission first. 2. 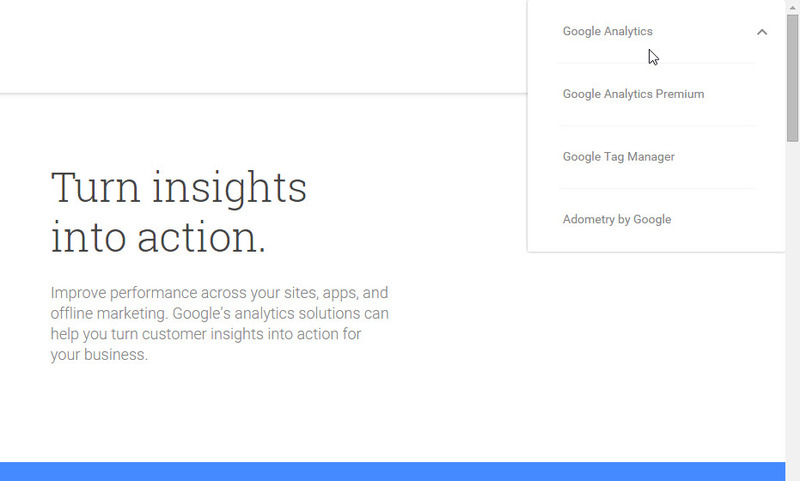 Click Sign In, and then click Google Analytics. 5. Fill in the form with your Account Name, Website Name, and Website URL, and then click Get Tracking ID. 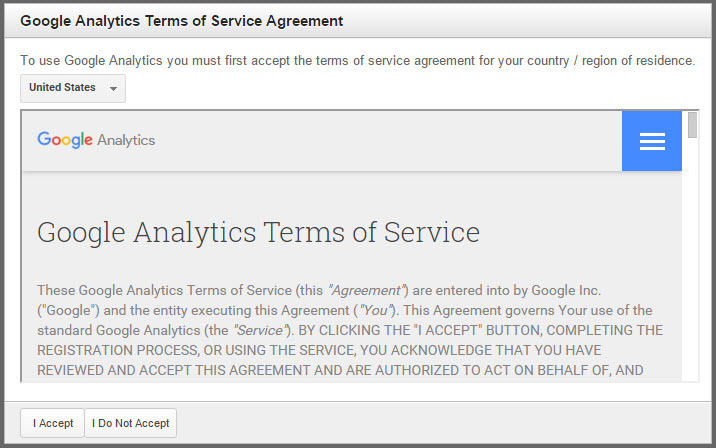 6. Review the Google Analytics Terms of Service, and then click I Accept. 1. 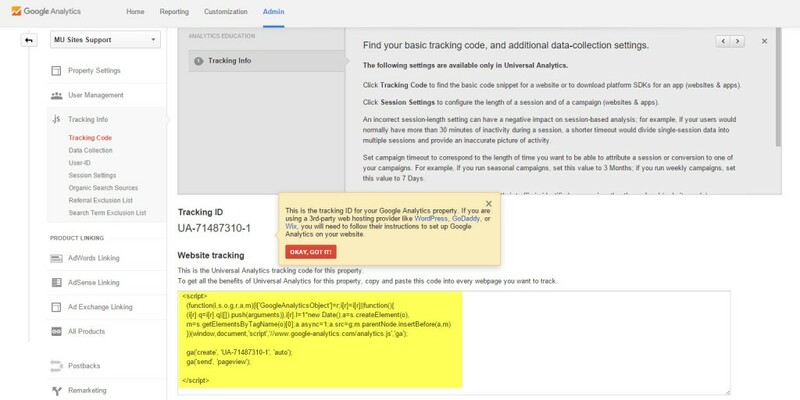 From the Admin dashboard of Google Analytics, copy the tracking code. 2. 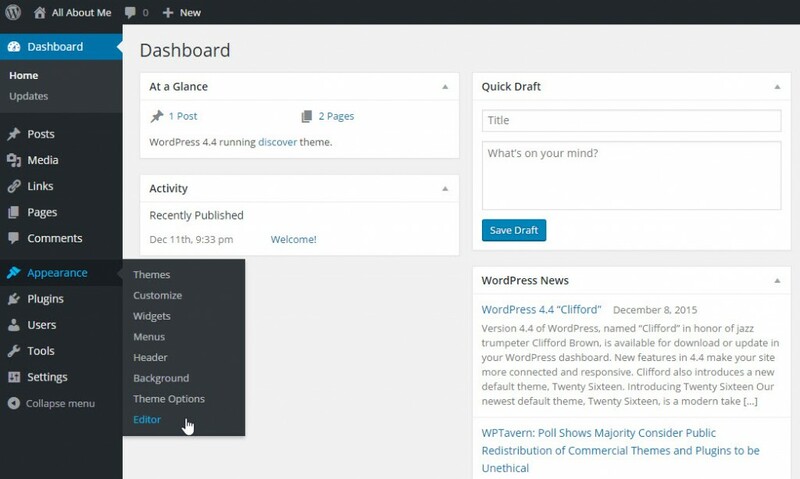 Return to your WordPress dashboard. 3. Click Appearance, and then click Editor. 4. 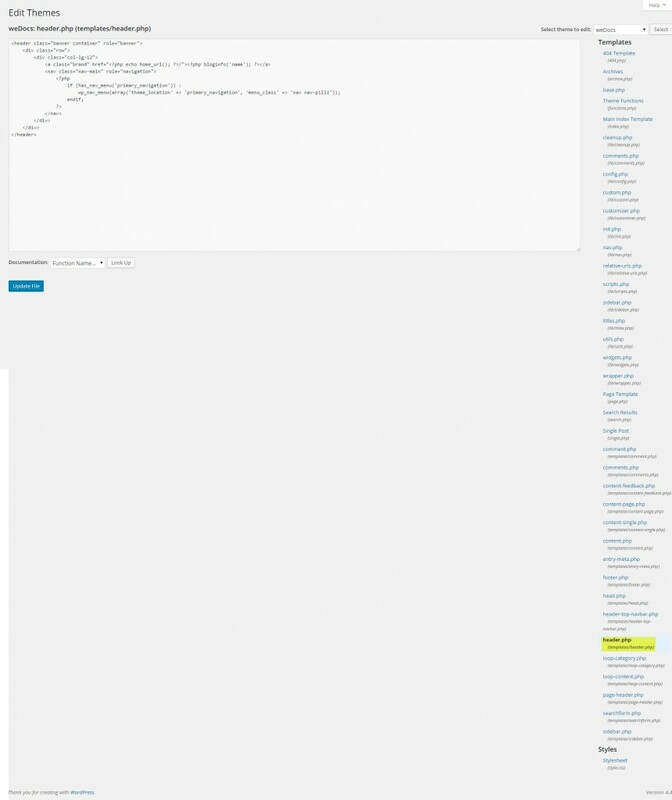 Click the header file, which will be indicated by (header.php). 5. In the text editor, search for /head. For easier searching, press your Ctrl and F keys, and then perform a search for /head. If the /head code is not in the (header.php) file, search for /header. 6. Click the line above the /head (or /header) code, and then press your Enter key a few times to create space. 7. Paste the Google code in the space above the /head code. The Google code won’t work if it’s pasted below the /head code. 9. In about 5-10 minutes, open a new tab and visit google.com/webmasters/tools. You may have to log in to Google again. 10. 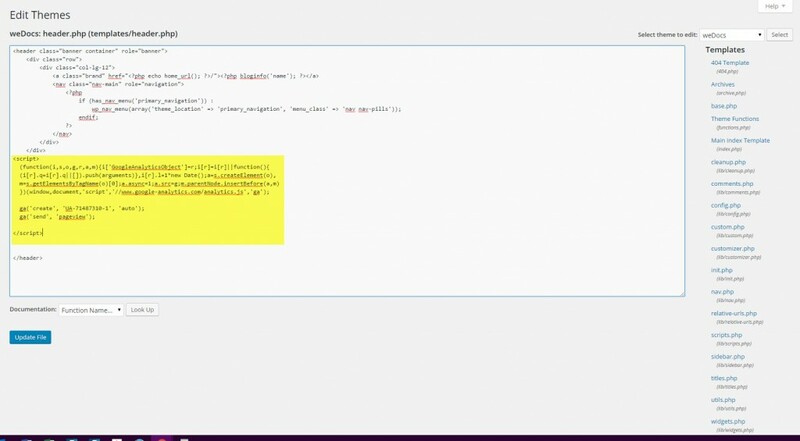 Copy and paste your website URL in the text box, and then click Add Property. 11. Click Verify. If Google Analytics doesn’t appear as Recommended, Google hasn’t had enough time to verify your tracking code. 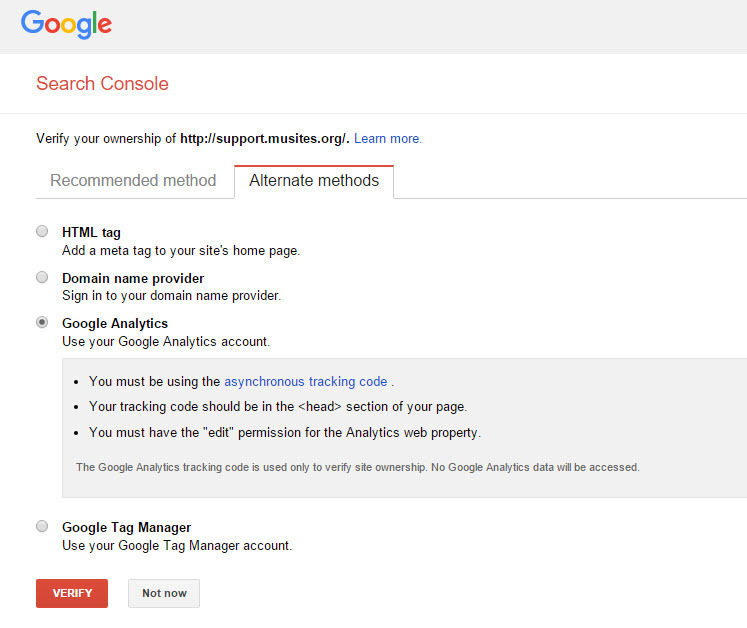 Google Analytics can also be found in the Alternative Methods tab. 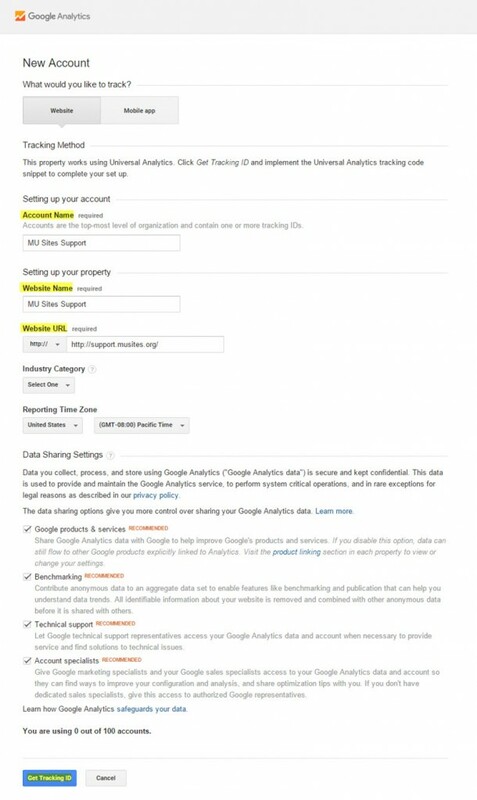 If Google Analytics doesn’t recognize your Web domain, return in an hour and verify your site. 12. Once verified, a confirmation message appears. 1. Submit your site to Google by visiting http://www.google.com/submityourcontent/website-owner/, and then clicking Add your URL. 2. Copy and past your website URL in the URL text box, and then select I’m not a robot. 4. A confirmation message appears. Your website should appear in Google search results within 24 hours.